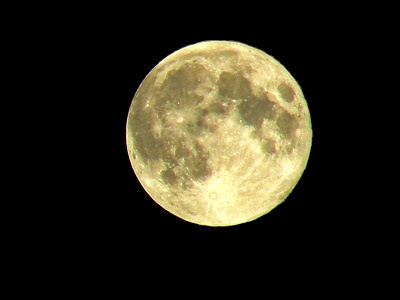 This site is not endorsed by NASA. Everything is Illuminated by Jonathan Safran Foer is not a realistic book though it has one big toe dipped in historical fiction and another dipped in magic realism. At least not the kind of realism that borders on incidents so close to history the reader can’t see the line of invention, and not the kind of fantasy one recognizes as a fairy tale. The plot is unlikely, the scenes improbable, and the characters resemble the broad strokes of sit-com personalities. Yet I loved this book because in all its silliness, absurdity, and exaggeration is a reflection of truth we usually find in satire. But this book isn’t a satire either. Foer based his book on a journey he took to Ukraine shortly after graduation from college. Young and inquisitive, he went to Europe in search of the woman who allegedly saved his grandfather from the Holocaust. That he never found her didn’t stop him from writing about the doppelganger Jonathon Safran Foer who goes in search of family history. The alter Foer as writer creates the mythical story of the found shtetl in tandem to the story of the fictional journey to Europe in search of his roots. Yes, a bit confusing, and I had to suspend my sense of reality and history to buy the whole premise. I did so willingly because Foer’s voice is so inventive and strong, he made me believe it was all possible even when I knew it wasn’t. Guiding Foer on his quest is the young Russian translator, Alexander Perchov, whose mangled English provides sophomoric humor. Using an old dictionary, he chooses words that get close to what he means and yet are laughably far from making sense. For instance, Alexander explains his “many friend dub me Alex.” He calls his own blind grandfather retarded and while the old man displays odd prejudices and behavior, he is in fact retired, and also appears to be able to see quite well. Alex takes Foer, whom he calls “the hero,” along with his grandfather and a smelly dog, in search of the woman Augustine, who may know the location of the ruins of the shtetl Trachimbrod (an actual shtetl destroyed during World War II) and who may have saved Foer’s grandfather. In between the meandering journey through Ukraine, both Alex and Foer are writing the history of the shtetl, with Foer correcting Alex’s version while he writes his own. Yet it is Alex’s mangled writing that gets closer to the heart of the story than Foer’s more accurate but blander version. The parallel story of the shtetl Trachimbrod is presented as a fairy tale village with two shuls, people who live on opposite sides of a line that may or may not be imaginary, and that seems to be slipping precariously toward oblivion. A glass wall in one shul separates villagers who are connected to each other by strings, reminding us of how tenuous are all human connections. An infant girl falls into a river and is saved from drowning, and this child may be the ancestor of Augustine whom Foer is seeking. As romantic as this version is, the real town did in fact suffer oblivion during the war. Thus the entire book drifts back and forth between two tales propelled by miscommunication and a sublime approximation of truth that can only be accomplished by events skewed as if seen in a fun house mirror. A favorite quote is this one: We should remember. It is the act of remembering, the process of remembrance, the recognition of our past. Memories are small prayers to God, if we believed in that sort of thing. Jonathan Safran Foer lured me into understanding our world with new insight. He kept me reading and re-reading the story, laughing, trembling, and knowing how important is our memory of who we are, so we know how far we’ve come, and how much further we must yet go. Everything is in fact illuminated but the glow may be only a reflection of something else. 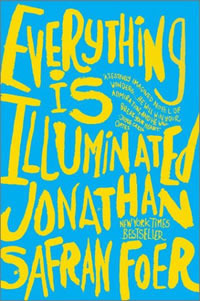 Everything is Illuminated won the Los Angeles Times Book of the Year, the National Jewish Book Award, and the New York Public Library Young Lion’s Prize, among other recognition. I look forward to learning about your favorite E fiction books. 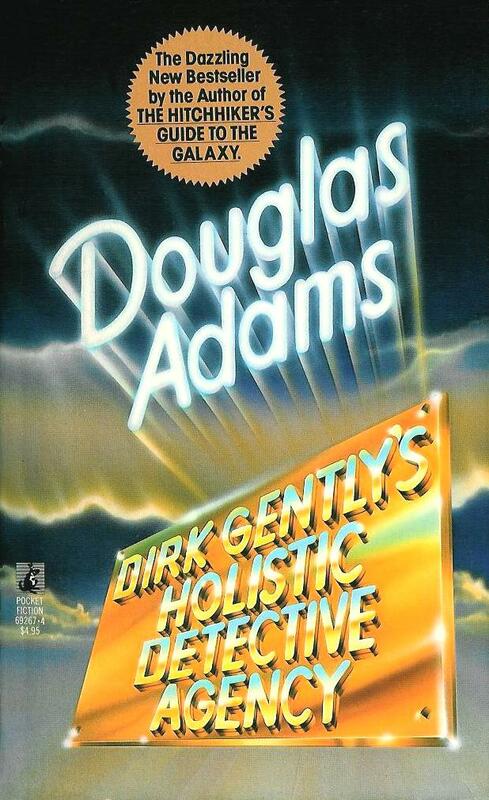 I thoroughly enjoyed reading Dirk Gently’s Holistic Detective Agency by Douglas Adams, but I chose it for my favorite D book for an unusual reason. It was suggested by my older son, referred to here as O-Son. He’d already fallen for most of the other Adams books, especially The Hitchhiker’s Guide to the Galaxy, not an unusual choice for a twelve-year-old geeky sci-fi fan. He’d devoured The Restaurant at the End of the Universe, So Long and Thanks for All the Fish, and The Long Dark Tea Time of the Soul. Probably introduced by friends, Adams was the perfect writer for a brilliant and shy kid who was socially unconventional. Like so many almost-teenagers, Adams gave my son a way to see himself as a totally acceptable human being. To begin somewhat near the beginning, my kids are readers, having been introduced to books before they were born. I read to my babies in utero, reading out loud whatever book I had in my hands. (With O-Son it was Watership Down.) The tradition continued as soon as each son was born, every afternoon filled with a half dozen or more books, another half dozen at bed time. Picture books were read two, four, five times in a row if requested. Cuddling with my sons, lost in a world of imagination, conundrums, solutions, humor, mystery, fantastical or historical locales, and the most astounding people we’d ever met, books nourished us. I read to my kids until they were each about thirteen and life finally caught up, obligations to so many other diversions forcing story time to shut down. My sons had been reading capably since they were five or six, so shared reading time was purely a joyous event and not because they couldn’t do the job themselves. So when O-Son gave me Dirk Gently to read with him shortly after he turned thirteen, I knew it was a singularly extraordinary moment for us. Our reading together time had been waning, and I sensed this would be the last book. He couldn’t have chosen a better story. We laughed as we tried to figure out where the strange plot was going (OK, it’s Douglas Adams, whose plots are well outside of standard plot-ville format,) O-Son and me bouncing along on the novel’s tailgate. Sometimes he read, sometimes I did. Reading is a social endeavor. It’s a reason to be in lock-step with why we read books. We name our pets, even our children, after favorite titles, characters, or authors. We talk about the books we read, recommend and trade them with friends, peer at a stranger’s tome or tablet to see what they’re reading. I belong to a reader’s group where we select a book a month, get together for an evening, and talk about them. Exposed to books we might otherwise pass up, we don’t always like every choice but we love the discussions, even the argumentative ones. Reading is a reward. Teachers use reading time as incentive for students to be productive with required class work. Decades ago, I motivated children whose first language wasn’t English to work on their reading assignments so they could listen to me read Jamie Gilson’s 13 Ways to Sink a Sub for ten minutes at the end of the session. A fall-on-the-floor-laughing book, it proved a terrific strategy to encourage challenged students to read. Research shows that students who read often, especially if they include a wide variety of genres, have larger vocabularies and do much better on college entrance exams than those who don’t. Reading is fulfilling. Transported to another culture or historical period, we can walk in unfamiliar shoes, see the world, experience adventures that are out of this world. Reading is a way to learn about something unexpected, maybe entice one to research a subject suggested in the story. We learn to feel empathy and compassion, to understand nuance and connections, to add to our fund of knowledge and imagine what is possible. As for favorite lines from Dirk Gently, the most famous is probably this: Let’s think the unthinkable, let’s do the undoable. 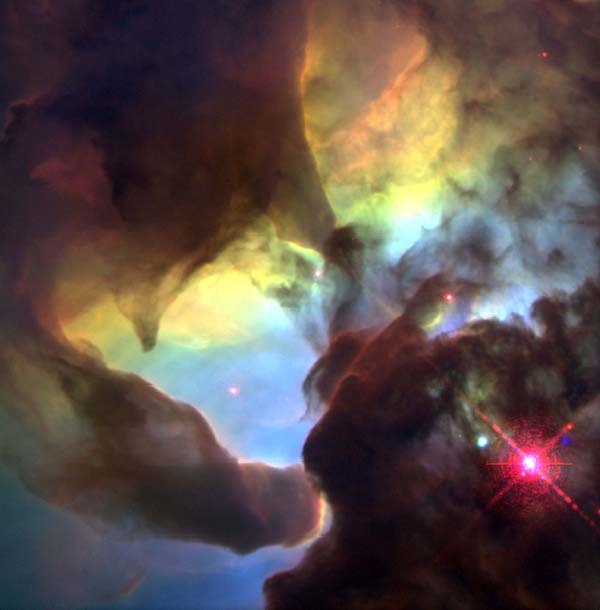 Let us prepare to grapple with the ineffable itself, and see if we may not eff it after all. It speaks to everyone, but to teenagers facing an unknown and intimidating future, that line is the Declaration of Independence. For myself as a mom whose baby was growing up, this one suits best: The teacher usually learns more than the pupil. Isn’t that true? If you share your life with youngsters, read to them. Thanks, Douglas Adams, for all the hours of fun, wit, satire, and whimsy you gave O-Son and me, and thanks for all the fish. Because teaching a young man to fish teaches him for his lifetime. It doesn’t get better than that. I look forward to learning about your favorite D fiction books.